The On Your Feet team specialises in Master of Ceremonies and event speaking services. Our experience ensures that your speakers are portrayed in a professional manner, your audience feel welcome and your event is runs smoothly and on time. "Thanks a ton. Everyone was saying it was amazing!!!!" "Barbara chaired our AIPCO Conference professionally, efficiently & pleasantly - I have no hesitation in recommending her." "While I have experience in giving presentations it is always useful to have refresher training, found the session very beneficial." "Barbara is an energetic and enthusiastic speaker who can deliver extremely useful tips in an effective and entertaining manner. I look forward to hearing her speak again soon." "I had the pleasure of attending an International Women's Day event in 2016, at which Barbara was the MC. She instantly set the tone for a positive, engaging and informative event. She has a knack for putting a large audience at ease, while ensuring the event runs smoothly and efficiently. At this event she also facilitated the Questions and Answers session, showing herself to be well informed about the participants and their interests. If you are looking for a professional MC for your event, I would recommend Barbara to you." "I've sat through enough sessions over many years to be able to really appreciate a good facilitator!" "Fabulous, Brilliant....much better than I expected. Great use of 2 hours!" "She said you were the best speaker on Networking/Referrals that she’s ever heard." "I just wanted to write to say a HUGE thank you for a terrific job. The folks here were BUZZING after your session. It was pitch perfect, you role modelled everything you spoke of and you inspired." 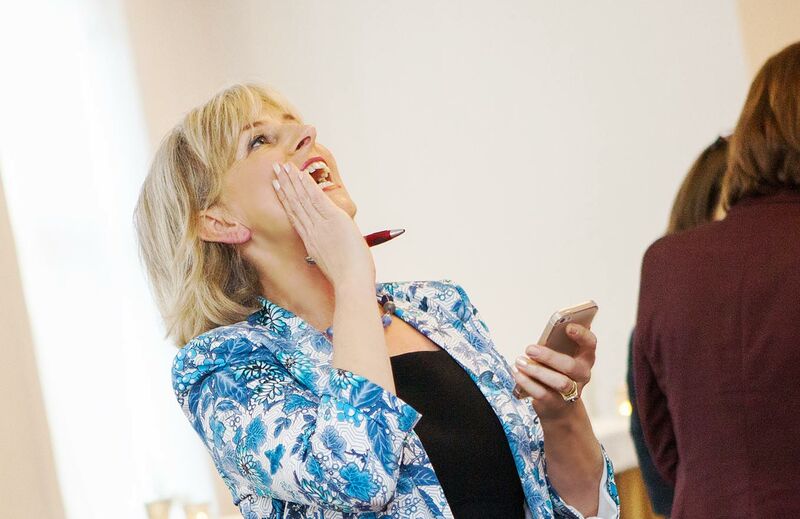 "Barbara recently expertly MC'd our International Women's Day event which was a demanding ask with 5 five speakers, over 200 attendees and a brief which included management of a Q&A to a tight timeframe. She kept things on track in a firm yet friendly manner while drawing the very best content from speakers and encouraging and supporting audience participation. She is true professional to work with, her attention to detail and advance prep is the best I've encountered and I would have no hesitation in recommending her to MC any event."